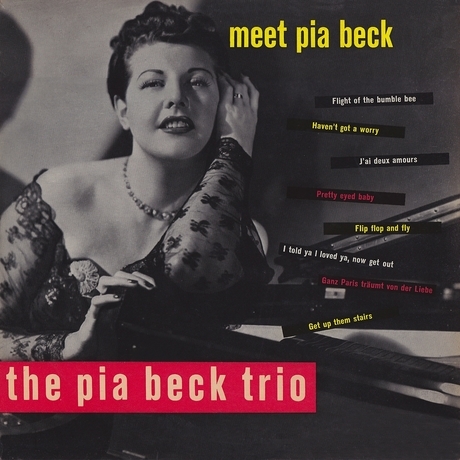 Pia Beck ( September 18, 1925 - November 26, 2009 ) was a Dutch jazz pianist and singer. 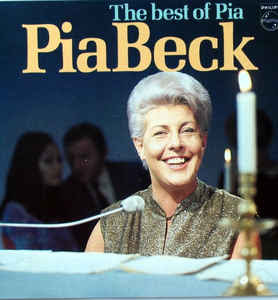 Pia was born Pieternella Beck in The Hague, Zuid-Holland, Netherlands. As a young child she was a natural talent on the piano. While members of her family all dabbled on various instruments, Beck had no formal training and has been said to possess a remarkable ear. 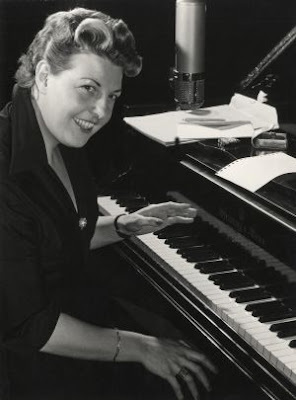 She began her career shortly after the end of WWII when she left home at the age of 18 to play the piano and sing in the Miller Sextet, performing in Belgium, Germany, Sweden and Dutch-India. In 1949 she started her own combo. Her first composition, Pia's Boogie, became a hit. She regularly toured Europe and had her own stage in the seaside resort of Scheveningen near The Hague. Unable to read music she could still play boogie woogie, jazz, rock'n roll or blues. In 1952 she made her first visit to the United States, where she performed annually until 1964. Due to so much flying she was nicknamed “The Flying Duchess.” New Orleans and Atlanta conferred honorary citizenships on her. 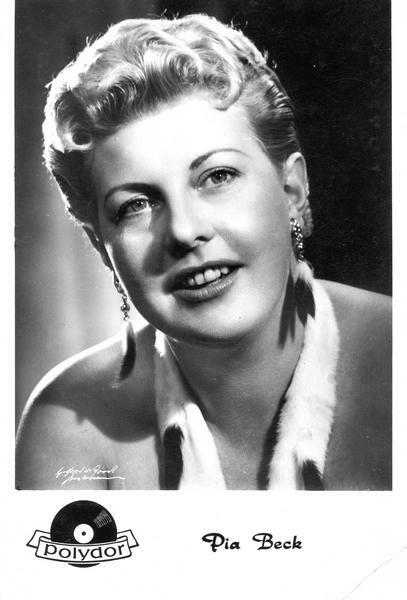 Pia reached the height of her popularity in Europe in the 1950's and 1960's, particularly through her interpretations and unique phrasing of standards like 'Dancing on the Ceiling' and George Shearing's 'Lullaby of Birdland'. On several of her recordings from that period, she was accompanied by noted American jazz musicians, such as Milt Hinton and Barry Galbraith. Her friend Oscar Peterson, named her the best jazz pianist in the world . Novum restaurant in Hilversum after which she retired. In her later years began concentrating on composing music and writing articles about jazz. Pia Beck was one of the first artists open to her homosexuality. With her life partner Marga Samsonowski and three sons of Samsonowski from her marriage to disk jockey Pete Feldman , she lived in the Malaga district of Churriana in Torremolinos in southern Spain from 1965. Pia Beck died from a heart attack November 26, 2009 in Churriana, Spain. She was 84 years old. In 2017 a previously unnamed bridge in Amsterdam was renamed Pia Beckbrug . Managed to find a few mp3’s on the web…..
06) I told ya I love ya, now get out !